Lynn Flewelling writes on the basics of query letters. 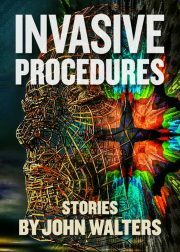 These exciting, surreal, enigmatic, gut-wrenching, breathtaking, uplifting, tear-inducing tales offer you strange journeys into mysterious and wondrous places that you’ve never before imagined. E.D. Walker is the author of The Beauty’s Beast Series of fairy tale retellings that begins with Enchanting the King. She’s a total geek, a movie buff, and a mediocre swing dancer. E.D. lives with her husband and two spoiled housecats in LA.